‘Ex Libris’ provides nothing more than fly-on-the-wall peek – Cinema or Cine-meh? A.A. Dowd, writing for the A.V. Club, said about “Ex Libris: The New York Public Library” that it was “maybe a little longer and more scattered than it needs to be, with one too many scenes that just plant the camera in front of a gabbing speaker.” Full disclosure: I only made it through the first hour of this 3+ hour film, from documentarian Frederick Wiseman. But as far as I could tell, I agree wholeheartedly. Yeah, yeah, it’s unfair for someone who saw only one-third of a movie to write a critique of it. Oh well. I’m trying to do a public service—if you go into “Ex Libris” with the same expectations that I did, you will be disappointed. 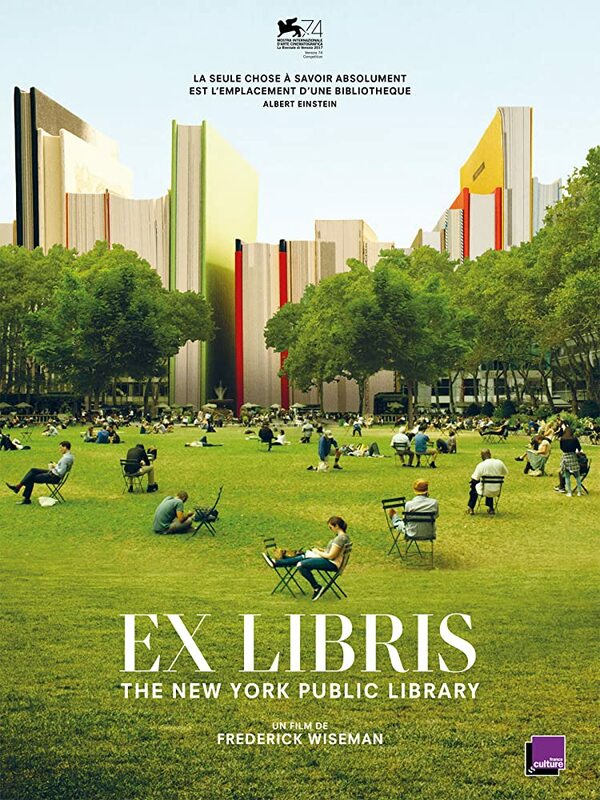 I strolled into the movie theater thinking a movie called “Ex Libris: The New York Public Library” would be about the New York Public Library. Rather, it’s merely a fly-on-the-wall peek inside the many services provided and activities occurring every day in its branches. It’s like going to a presentation you thought would teach you about the NYPL (think, a brief history, maybe how many branches there are, etc. ), and being unexpectedly bombarded by a piano recital, a lecture about ancient Middle Eastern history, a board meeting, a job fair, and an interview with atheist and author Richard Dawkins. All out-of-context, just five or ten minutes of each. None of these are what you wanted to learn about, but these are the types of things (in the first hour, at least), you do learn about. 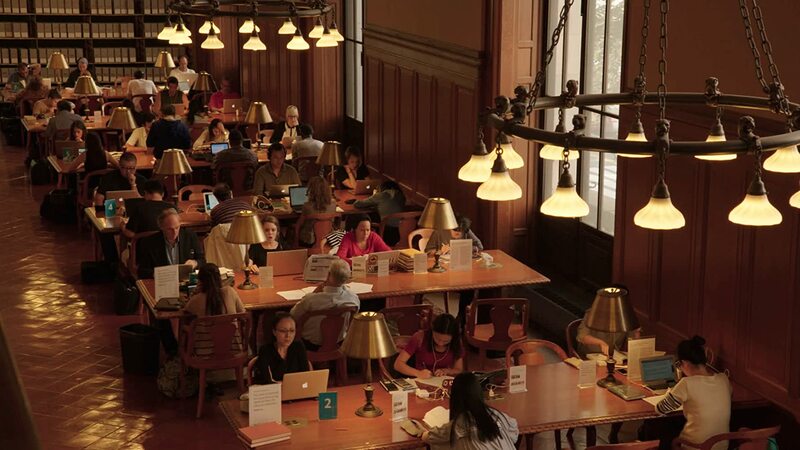 The NYPL is just like every other library—boring as hell, until you need one of its services. Then, it’s very helpful. But imagine sitting through a three-hour mash-up of highlights of the many different services your local library provides. Boring, right? Apparently, filmmaker Wiseman is known for this approach. Dowd said in his review that “[Wiseman’s] early movies were more urgent, in part because they kept their focus narrower.” I wouldn’t know; I’ve never seen one. And now, I know not to.